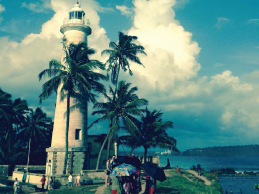 «I want to thank My Travel Sri Lanka for this awesome family trip. Our holiday was well-balanced between discovery and the quality of the hotels. «A dreamy honeymoon, very rich on human and cultural level. 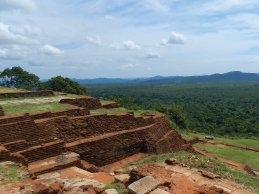 We learn on the fascinating civilisation and a past rich in history. We discover interesting places and breathtaking landscapes. «Excellent stay in an exotic setting. Our itinerary was well-rhythmic. The hotels were great. «Our holidays in Sri Lanka were exotic and fantastic. The travel agent has greatly elaborated our little stay; we are very content of the our stay’s preparation. «The service that the agent gave us was diverse and very appreciated. 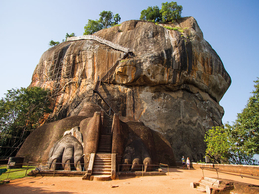 «Sri Lanka is an ideal destination for a family trip: cultural traditions, animals, flora and fauna, distinct landscapes, everything was exceptional. The people was very friendly, the atmosphere is relaxing. The food is really delicious. 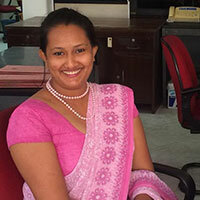 «The discovery of Sri Lanka was very distinct thanks to Karina’s enriching program. The driver was inconspicuous and friendly. He shared us his knowledge on Buddhism and his country. The welcome at the hotel was warm. «Our honeymoon in Sri Lanka Maldives was simply remarkable. Our little getaway was fantastically customized: discover the country, the culture, the animals, nature and relaxation in Maldives. «Great holiday in Sri Lanka. We did not know this part of the world, and we were amazed, specially its nature and its people are friendly. «Our holidays in Sri Lanka went well. Bastien gave us good pieces of advice, he was able to highlight our wishes to match the activities of the kids. «We just arrived from our trip to Sri Lanka. Bastien’s advice was really precious. The driver/guide was friendly. We visited some significant places. The visit of the Elephant Orphanage was awesome. Sri Lankans are nice. 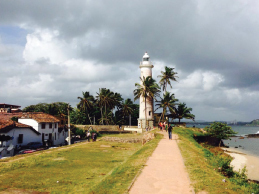 «A well-suited itinerary that allowed us to make beautiful discovery in Sri Lanka. Sri Lanka is a country of truly incredible diversity. The hotels were well located and pleasant. The landscapes, the cultural richness, the discoveries, the walks, everything was fascinated. 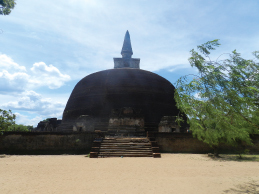 «The organization of the trip was ok. We are satisfied with our trip to Sri Lanka. Bastien was available on the phone; he managed effectively small questions and concerns that we encountered once there. «An unforgettable holiday in Sri Lanka. Bastien organized our trip very well, which allowed us to discover beautiful places and meet friendly locals. «Our trip was perfectly in line with the promises; we had an excellent romantic vacation. The hotels were clean, comfortable and absolutely suited to our wishes. The driver was patient and was listening to us. He suggested small corners whereby we savored the delights of Sri Lanka. 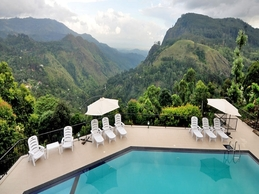 «Sri Lanka is a very beautiful destination, especially the mountainous area is captivating. Our itinerary was very well elaborated. The beauty of this zone is unbelievable. Its people are friendly and charming. The driver and the guide helped us to better discover his country, his culture, and his traditions. He shared his knowledge of his country. «Karina’s advice for customizing our trip was appropriate and suited our wishes. Our guide and driver were friendly. Sri Lanka is an authentic country; its people are adorable and kind. 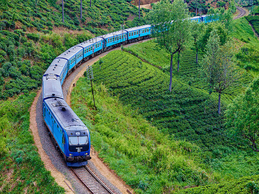 Exuberant nature, the train ride is an experience not to be missed. Our trip was phenomenal. The accommodations were lovely. «It was an exotic trip and rich in discovery for the whole family. The highlights of our trip: the visit of the garden spice, the train ride (we were a little shaken but the view is breathtaking over the tea plantations), climbing the Lion Rock, a little too much touristy for my taste but beautiful anyway. « A beautiful trip despite a little rain that did not spoil the trip. welcomed us at the homestay lunch. «Amazing trip, good organization, the steps of the itinerary were rhythmic. 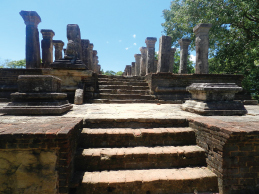 We loved the visit of the Mulkirigala Temple at the north-west of Tangalle. «A pleasant trip which perfectly match our expectations. 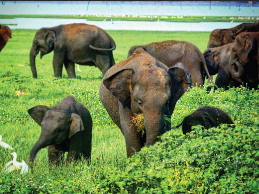 «Sri Lanka is remarkable country to discover with family. We have liked its nature, culture and animals. 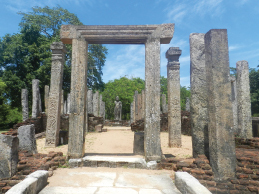 «Exotic trip to Sri Lanka. 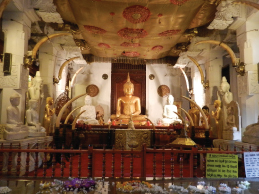 We have loved the authenticity, the warm welcome and the exotic scenery during the itinerary. We have loved the beach stay at Mirissa, especially my husband who loves surfing there. «We have just returned from our honeymoon, and we thank you for the organization and the meticulous details for our honeymoon. «We had a wonderful trip, and the itinerary was perfect. «We are very pleased with the organisation of the whole itinerary which was perfectly balanced between comfort and authenticity. «Our honeymoon went on very well, in general; the hotels were well chosen tastefully. We particularly enjoyed the Saunter Paradise; the decor is pleasant and the staff genuinely attentive. 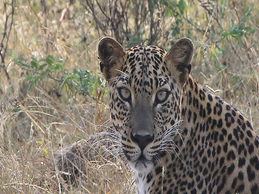 «We had an amazing itinerary rich in discovery, with gorgeous landscapes, safari etc. 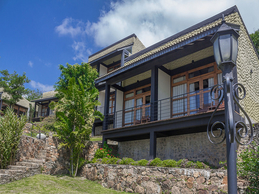 Villa Garden is located in a beautiful and calm decor, and the service was excellent. 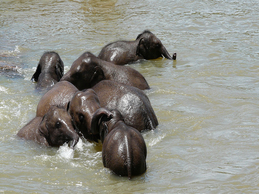 «We have wonderful memories of our visit to Pinnawala Elephant Orphanage: I was able to bottle-feed a baby elephant and we saw the elephants have a relaxing bath in the river. 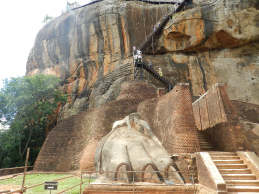 Dambulla’s rock-carved temple is just sublime! «The hotels met our expectations, they were very comfortable, and the escorting staff was perfect and suited our group perfectly. We saw very beautiful markets, lush vegetation and splendid scenery! «On the whole accommodation was satisfactory; we especially liked the Green Paradise Hotel and the Spring Villas! «The towns and the sites are so different from one another that there’s always something to discover! We loved all the nature-based visits, the various walks… the visit of the wild coast in Kirinda is wonderful. 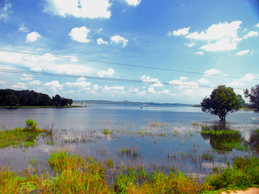 «Sri Lanka is a very beautiful place. We love this country and everything there is to discover: nature, the people, the culture, the climate, the scenery! Our best memories are of our stay at Kuramathi Island Resort in the Maldives, Uda Walawe National Park and the famous Mount Sigiriya and Lion Rock. Most of the hotels were great and offered a friendly welcome. «We got very good advice from our travel advisors, who knew the country, the hotels and the customs extremely well…. 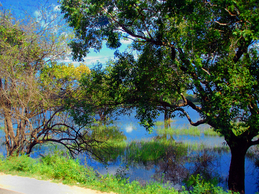 «Our favourite visits were Yala for the safari and magnificent landscapes, the tea-growing region for its unique scenery and the Cultural Triangle, thanks to the diversity of the various sites. 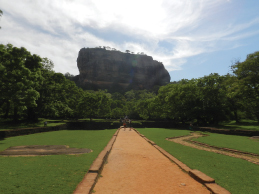 Sigiriya was our absolute favourite during this trip. Accommodation was excellent overall! «The Cultural Triangle, the tea trail, Lion Rock, the Temple of the Tooth of Buddha, the train journey… there are so many amazing landscapes that we enjoyed discovering! 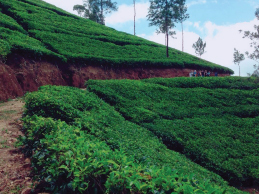 «Accommodation was very good, the hotel in Nuwara Eliya was welcoming and well-situated to discover nearby villages. «All the towns, all the sites we visited and the whole itinerary were superb. 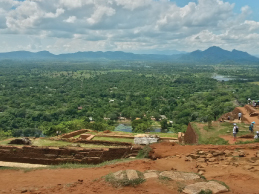 We particularly liked Sigiriya, as well as the estates around the Viharagala Bungalow and Ecolanka Lodge, where we had an excellent time. «Our trip went very well! Our driver was perfect: he answered all our questions and made us taste lots of exotic fruit for free. Transport-wise, a 4WD would have been better because we were being shaken around quite a lot despite our driver’s good driving! «We had a very good trip! 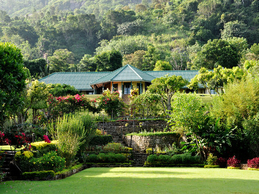 We loved the kindness of Sri Lankan people, particularly at the Sevanagama guest house! Although access to the Spring Villas was difficult, the site was gorgeous. The Heaven’s Edge was brilliant! We had amazing views! Our accommodation in private homes was very good but some of the hotels were too touristy and noisy, that’s a shame. «We had a wonderful trip! Sri Lanka is more than a country, it’s a philosophy! The sites we visited were of such immense cultural richness. Accommodation was very good overall. The lunch we had in a private home was delicious. «We had an unforgettable experience! Our kids adored the visit to the elephant orphanage, it was the first time they saw any. The baby elephant feeding session was really moving. The hotels’ buffets were acceptable; the children appreciated them because the local food was too different for them. My husband and I particularly liked the verdant scenery near Nuwara Eliya! «It was hard coming back to France after such a trip! The hotels didn’t disappoint, they were perfect! The staff was friendly. «Our trip was too short; there are so many things to see! 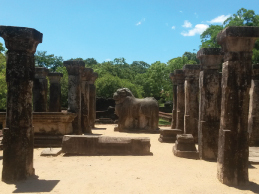 Luckily, our tour gave us the opportunity to see the Sri Lankan highlights (elephants, the Golden Temple, Lion Rock, the hill country, the tea plantations). «This was our first big family trip et we were quite worried about it! Our travel advisor took the time to answer all our questions, which was very helpful. We were warmly greeted at the airport by the local representative. Our 8-year-old son has great memories of the animals he saw and the traditional dancing. He was blown away by the fire-walking demonstration! 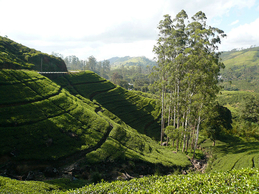 I love nature, so I particularly enjoyed our visits to the spice garden and to the tea plantations. «The whole family loved this holiday. As soon as we arrived we did a boat trip that showed us the beauty of Sri Lanka. Unfortunately we didn’t see the baby elephant feeding session at the orphanage. 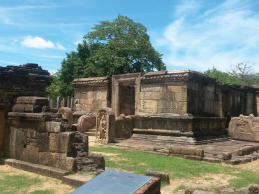 But the cycling, the climbing, the gardens and the temples were enough to satisfy everybody. 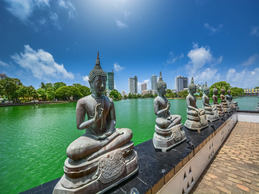 «We chose the Sri Lanka-Maldives combined tour for our honeymoon, because we had wanted to visit Sri Lanka for a long time but also wanted to relax at the beach for a few days. It was our honeymoon so we had plenty of little extras. «We wanted to go on a family trip somewhere completely different and we weren’t disappointed. We had lunch in a private home and we felt honoured to be able to share a meal with a Sri Lankan family. Our hosts were brilliant, very warm. «A dream holiday for our honeymoon! Dilhani and Sofia planned for us a tailored trip that included everything for a complete change of scenery: gorgeous landscapes and an amazing safari during which we were lucky enough to spot a female leopard and her cubs! «We loved the arrangement of starting with the Sri Lankan tour and then following it up with a relaxing time on the beach in the Maldives. 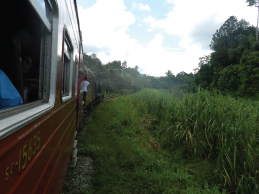 The scenery we saw from the train in Sri Lanka was awe-inspiring. The Maldives beaches were paradisiac. 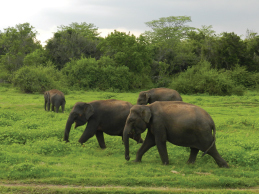 “So many things amazed us in Sri Lanka: the canoe trip, the elephants, the traditional dancing, the safari! Although I was uncomfortable at the idea of flying on a seaplane, the crew was able to reassure me and in the end, the flight went well. The view from the sky was impressive.